I is helping. 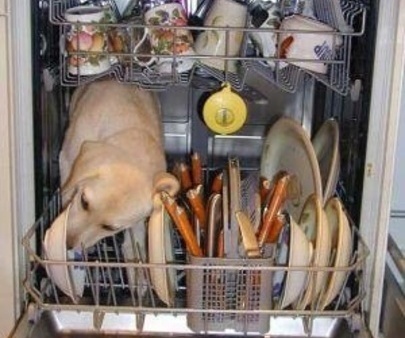 One minutes an' dishes be clean enough to wash! You thank me later with belly rubz, 'kay?